Togas were popular back in the times of the Romans and the Greeks and can be seen portrayed all throughout these two cultures rich histories. Luckily for us, togas are still prevalent today! The only difference is that nowadays, we typically wear them for Halloween or historical events, instead of as an everyday wear kind of thing. But what if we did wear togas every day? It doesn't sound like a bad deal. 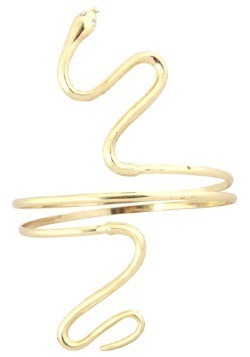 They are light, airy, and the way that they drape off your shoulder makes anyone and everyone look like royalty! Seriously, it's impossible to not look important when wearing a toga. You could have them made in all kinds of colors, and you could even find a way to work in a tie, for those formal business occasions. We think we might really be onto something here with this toga idea! 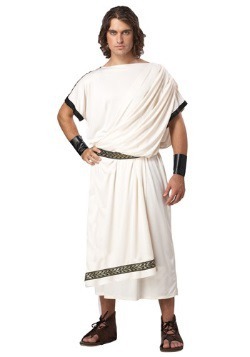 This classic toga costume is truly a classic. It starts with the off-white tunic, made of 100% polyester. It's pulled over the head, making it easy to wear, and it has not one but two drapes sewn to the left shoulder, because the more this costume waves in the breeze, the more impressive you will look! The finishing touch will be the belt around your waist. 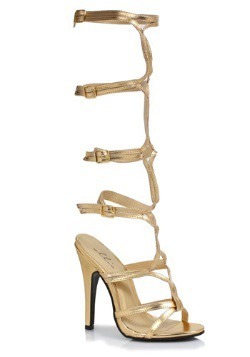 The belt is black and metallic gold brocade ribbon, and it fastens with velcro. This combination of tunic and belt results in the instantly recognizable and easily admirable costume you see before you. A true work of art. 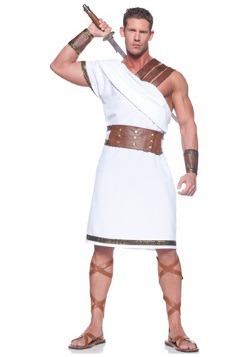 The only thing better than one toga-wearing roman is 10 toga-wearing Romans! So why not grab 9 friends and turn this into a party? There is nothing better than group costumes, and you will love all of the fun you can have when you are all characters from the same era!